Hurricanes and Harvest - City Vino, Inc.
Hurricanes are never good, but for a number of reasons they are especially bad for wine regions during harvest time, which generally runs from late August to mid-October in the Mid-Atlantic States. Water – Rain during harvest is bad for several reasons. First, grapes will absorb the water and dilute the flavors that they have been building up over the previous several months. In addition to diluting the flavors, grapes may expand to the point where they burst, at which point they are no longer usable for making wine. Once the rain has passed, moisture on the grapes can lead to rot, which again makes grapes unusable. Wind – Wind can cause damage to the leaves, also known as the canopy. Leaves provide important sun protection so grapes don’t get sunburned. The leaves are also the vehicle for photosynthesis, through which the vine turns sunlight into energy to ripen the grapes. If the canopy is heavily damaged, grapes left on the vine may not reach full ripeness. Heavy winds can also damage the grape clusters themselves and cause them to be ripped from the vine. 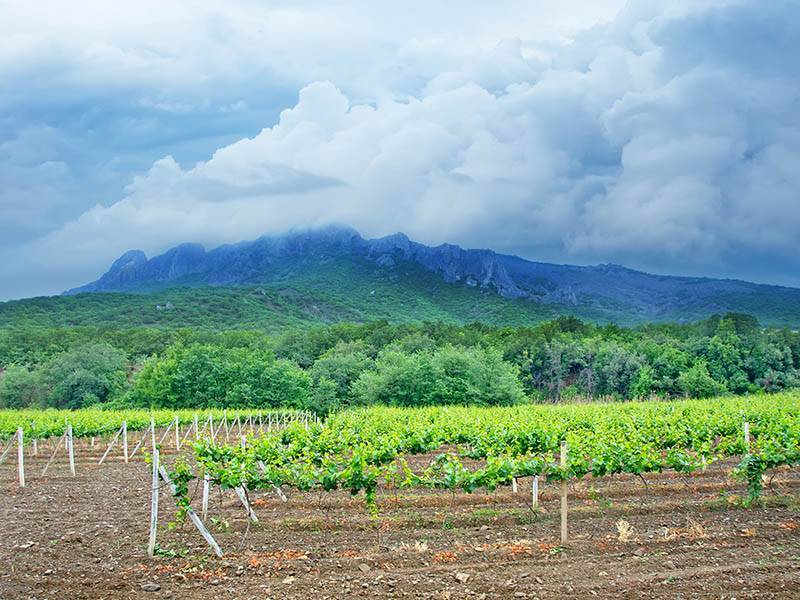 Less Sunlight – Hurricanes and other large rainstorms are accompanied by significant cloud cover which reduces the amount of sunlight that reaches the canopy, which further reduces the vines' ability to produce energy to ripen the grapes. Many Virginia wineries started picking grapes, especially white wine grapes in late August. A number are already harvesting reds as well. With any luck, many wineries will get their grapes harvested in the next few days and salvage the 2018 vintage.